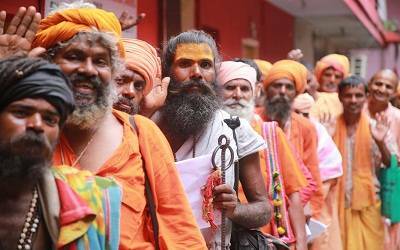 Jammu, July 22 (IANS) Another batch of 1,561 pilgrims on Sunday left Jammu for the Kashmir Valley to perform the Amarnath Yatra, officials said. “The yatris left Bhagwati Nagar Yatri Niwas in an escorted convoy of 62 vehicles. Of these, 1,179 yatris are going to Pahalgam base camp while 382 are going to Baltal,” a police officer said here. The 60-day long annual Amarnath Yatra which started on June 28 has been going on smoothly for the last 25 days with over 2,30,000 pilgrims having performed the yatra. Except for the vagaries of weather due to which four pilgrims were killed by a landslide on the Baltal-cave shrine route, the yatra has been proceeding smoothly. Those using the 14-km long Baltal trek return to the base camp the same day after performing the yatra while those using the 36-km long traditional Pahalgam trek take three days to reach the cave shrine. Helicopter services are also available for pilgrims on both Baltal and Pahalgam routes.